No need to make the pilgrimage to the famed fairgrounds; in 2016 it’s the Monterey Jazz Festival itself that will take it on the road, bringing with it the Festival’s hallmark “traditionalist-untraditionalist” attitude and jazz-with-a-purpose exuberance exemplified from the beginning by what founder Jimmy Lyons called “the best jazz people in the whole world….”! Featuring: Raul Midón, guitar and vocals; Ravi Coltrane, tenor and soprano saxophones; Nicholas Payton, trumpet; Musical Director Gerald Clayton, piano; Joe Sanders, bass; and Gregory Hutchinson, drums. Please note: This performance has been moved from the Concert Hall to the PepsiCo Theatre. If you have tickets and they read “Concert Hall” please refer to the email notification that was sent to ticketholders last week or call the box office at (914) 251-6200 for further information. Is college worth the cost? As tuition rates spiral beyond reach and student loan debt passes $1 trillion (more than credit card debt), this documentary from director Andrew Rossi examines the vast costs and perceived benefits of higher education in the United States. Immediately following the film, a Q&A with Andrew Rossi, moderated by Professor Brandon Harris. Charlotte Brontë’s heroine was the ultimate survivor: overcoming poverty, injustice, and betrayal before her own bold fight for freedom. “Fresh, exciting and inventive” cheered the Evening Standard of director Sally Cookson’s reimagining of this classic. Now in its 90th anniversary season, the company Martha Graham founded continues to carry on her legacy and foster her spirit of ingenuity. The program on the 20th will include classic works by Graham as well as a sneak peek at a newly commissioned work by Pontus Lindberg. This performance is generously underwritten by Phyllis Canter in loving memory of Arnold B. Canter. Decoda is a chamber ensemble comprised of virtuoso musicians, entrepreneurs, and passionate advocates of the arts. We are thrilled that they’re back for their fourth consecutive season, and this time they will be joined by four students from Purchase College's Conservatory of Music. We're anticipating another unforgettable afternoon of carefully selected repertoire played with matchless musical fervor. Flamenco: shimmering, seductive, and steeped in tradition and storytelling. Carlota Santana’s Flamenco Vivo return to The Center with Poema de Andalucía, a choreographic journey through the alluring cultures and traditions of the Andalusian provinces that form the cradle of Flamenco. This special “poem” celebrates the region’s unique and rich heritage through the language of music, song, and dance. An uproarious and nostalgic look back at the glory days of radio plays, but with a twist. In addition to the tour-de-force voice work of a cast of three actors; in addition to the live sound effects performed before your very eyes; in addition to the live musical score on piano and organ; we add a visual spectacle. Over 1,250 individual, hand-drawn, full-color comic book images blown up to two stories high and projected on screen. Are you ready for the adventure? The phrase “rock star” and the word “cellist” are not often uttered in the same sentence, but the two come to mind to describe Zuill Bailey. His rare combination of celebrated artistry, technical wizardry, and engaging personality has secured his place as one of the most sought after and active cellists today. This performance is supported in part by The Vivian & Seymour Milstein Endowed Fund. All ticket holders are invited to stay for a small reception after the concert and then watch a masterclass with Mr. Bailey and Purchase College Conservatory of Music students. The reception will be held in the Upper Lobby; the masterclass will take place at 5:30pm in the Recital Hall. Please click here to RSVP for the masterclass. Treat that special someone to our Valentine's Day screening of National Theatre Live's encore broadcast of JANE EYRE. Buy one full-price ticket and get the second one FREE. Use discount code 2026. Redeem in person or by phone at 914-251-6200; offer expires at midnight on Thursday, February 11. Subject to availability. May not be combined with other discounts or applied to previously purchased tickets. Offer not available on-line. Featuring Soul Voices, Purchase Dance Company, and Purchase Repertory Theatre. 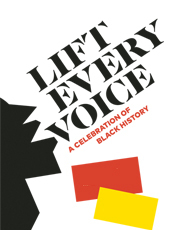 This exciting celebration of black history pays tribute to James Baldwin and James Weldon Johnson and includes students and faculty from across the Purchase College campus. The evening features the premiere of The Creation, a new work based on the James Weldon Johnson poem of the same name, with music composed by Pete Malinverni for Soul Voices and dance choreographed by Kevin Wynn for the Purchase Dance Company. Public reception to follow. The New York Times recently caught up with our Interim Director, Seth Soloway, to talk about the Chamber Music Society of Lincoln Center's programming here at The PAC. If you missed them earlier this season, not to worry, they'll be back for a final performance on May 7. Read the article here. Support a good cause and experience spectacular music on March 13 - Hoff-Barthelson’s Annual Benefit Recital and Reception will feature a recital by Steven Isserlis, one of today’s greatest cellists, joined by the exciting young pianist Roman Rabinovich. Click for more info. Help us to continue to bring world-class performances to your backyard by making a gift to our Annual Fund Campaign. CLICK HERE to make your donation today! It's not too late; you can still reserve ad space in any of our remaining 2016 program books. Show your support for The Center and get your name in front of our audiences. Click here for more information. Come early for a coffee or grab something sweet at The PAC Café, located in our lobby and open one hour before curtain and during intermission for most Center Series performances. We are considering making some changes. Please take our survey and help us create the best café experience possible! Click here for the survey.